Biggie smalls is a legend of the game. While he has passed, his legacy lasts on. 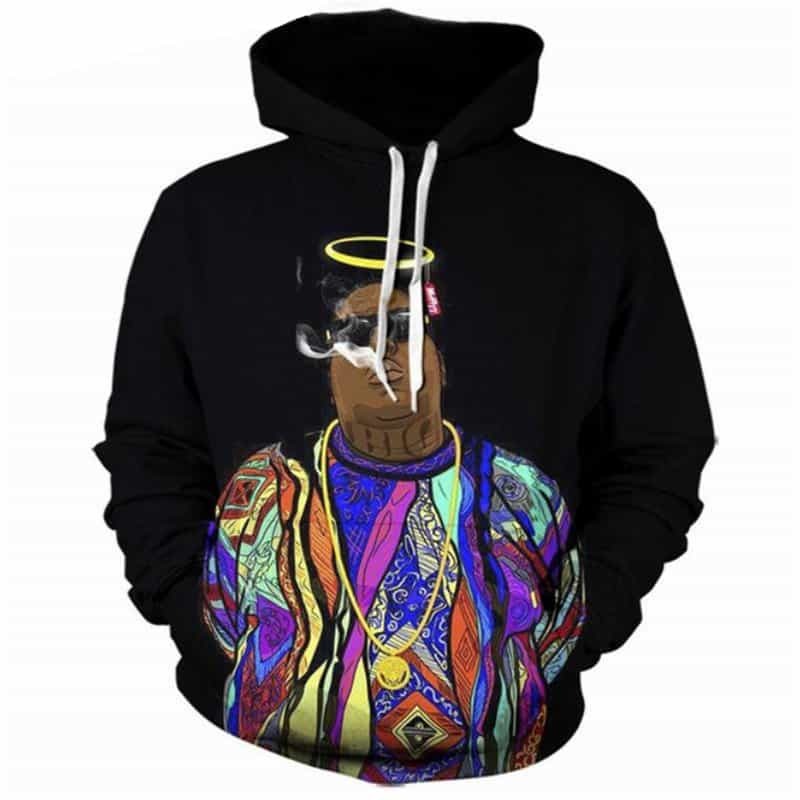 This Biggie Hoodie Angel concept is a print of Biggie with a halo above his head. Biggie is puffing smoke and wearing a florescent jumper. The hoodie is comfortable to wear, looks fashionable and is wearable anywhere. It was designed for both male and female.